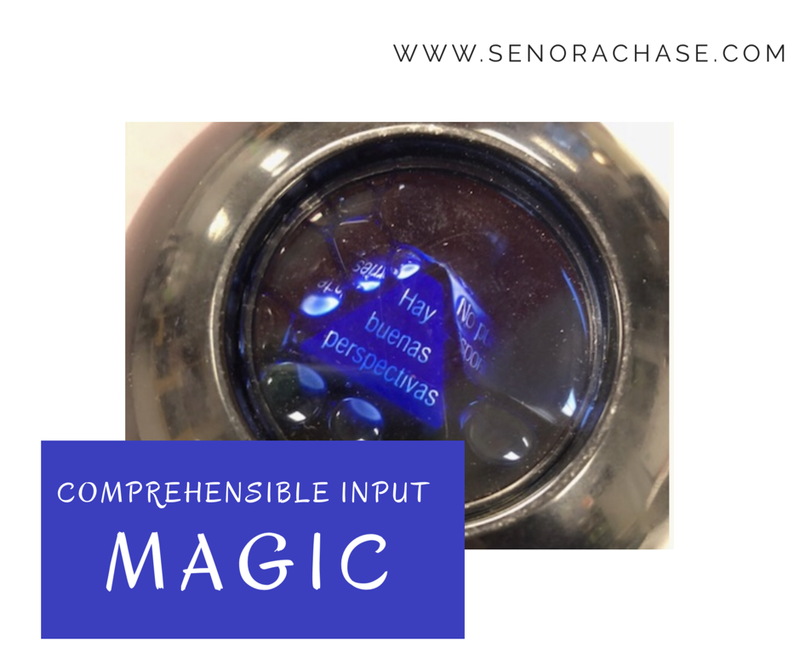 Well….I just learned that there’s an ONLINE MAGIC 8 BALL IN SPANISH!!! This is a game changer, PEOPLE! Now everyone can see it at once! You can type your answer in or just ask it out loud (in slow, comprehensible Spanish, of course!) and it will answer you in Spanish. It fun to let the 8 ball answer for us…. try it out! Thank you! Thank you! I’m so glad to have a Spanish one that everyone can see on the board!